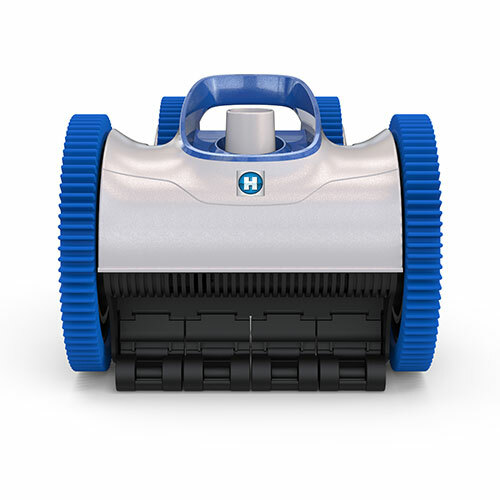 The 2x Suction PoolCleaner™ uses your existing pump and filter for power. This cleaner plugs into either your designated suction port or the skimmer. The 2x is ideal for most average sized pools. V-Flex™ technology eliminates clogs and maximizes power at any flow. Patented robust tire treads provide superior climbing power and obstacle maneuverability. Multiple pre-programmed steering sequences ensure complete pool coverage. 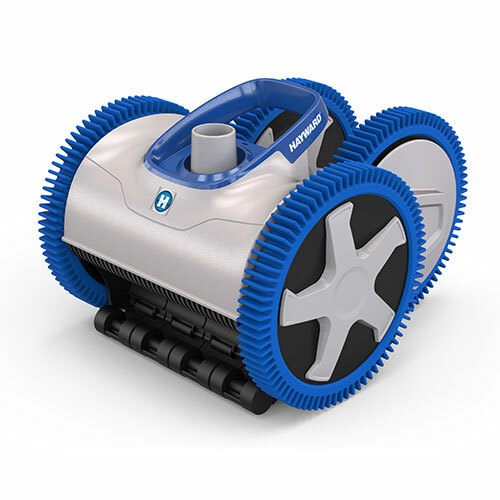 AquaNaut 400 maintains power and balance in larger pools or pools with deep ends. Three easily interchangeable throats improve debris passage and suction performance (ideal for use variable-speed pumps).